My website has four categories. Recipes, Featured Recipes, Becky's Tips, and Culinary Herbs. Just click the buttons below or use the drop down menu to get started using my recipes, reading my great tips or learning to grow your own herbs. Create wonderful family memories when you prepare your meals at home using these easy, delicious and healthy recipes. Click the recipe button below to get started. 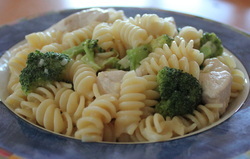 Try one of my featured recipes. Each featured recipe has the nutritional information, as well as the time required to make it and a photo. Great tips for cooking, improving your health and saving money. Read my new tip on the best way to store your fresh produce. Grow Your Own Herbs! 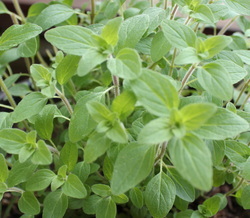 Find out how easy it is to grow your own fresh herbs. Tips for using herbs in cooking, skin care, hair care, household cleaning and more. Mojo Liquid Pipe Cleaner and clean pipe! This is an awesome new product! It cleans glass, ceramic, metal, plastic-just about anything but it's not recommended for wood products. It works in minutes so it would also be a great cleaner for pyrex dishes that have hard to remove baked on food. If diluted, it would be a wonderful all purpose cleaner too. Cleaning once a week is all it takes to keep pipes, bubblers, hookahs, bongs and other smoking devices looking like new.